It has been nearly nine years since I moved to Southern California, after a lifetime in New York City as the adopted daughter and granddaughter of a Harlem-born and raised black family whose “roots” were in Richmond, Virginia (by way of the Middle Passage from, as author Dionne Brand describes it in A Map to the Door of No Return, “the door of no return”). I visit the city a couple of times a year, to check in with loved ones and to do research. One particular visit there not long ago brought with it a riveting encounter. I took the subway up to Harlem for a visit to the late Dr Barbara Ann Teer’s National Black Theatre. When I ascended from the subway, I stood outside, noting the dramatic changes that had taken place on 125th Street and Lenox Avenue (renamed Malcolm X Blvd in 1987) since I’d left New York, and certainly, since my family members had been born and raised there shortly after the turn of the twentieth century. Most notably, Starbucks loomed large, along with an array of higher-end clothing stores and boutiques, which seemed to have replaced many of the affordable bargain basement clothing stores and bodegas that had peppered 125th Street for years. The shock of gentrification’s encroachment must have registered loudly on my face, for a young man walking toward me said, “Yeah…we’re handlin’ it,” as he continued past me. My initial reflex was to laugh out loud; it was such a New York moment. But there was something else subtending the encounter. His was a studied critique of a change in progress that he knew was not for or about him, a black resident of Harlem who had to endure its inevitable unfolding. 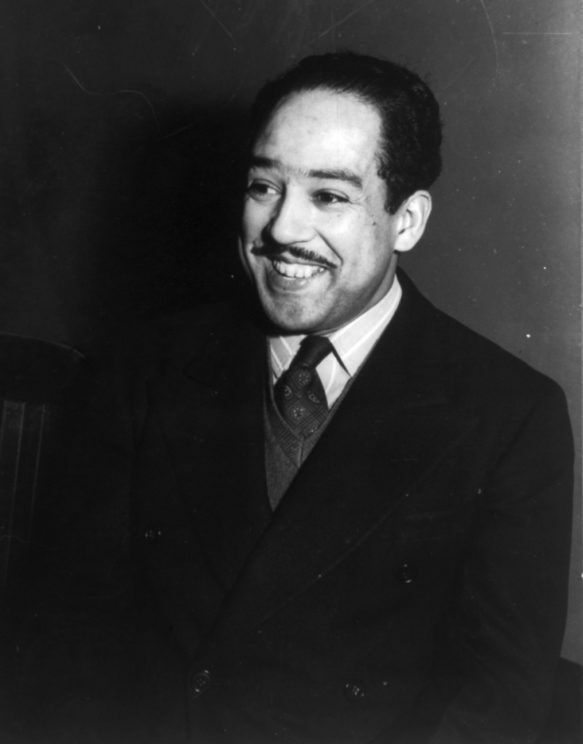 Portrait of poet Langston Hughes in 1942 by Jack Delano. Public Domain via Wikimedia Commons. My (adoptive) maternal grandfather worked for the Department of Sanitation when the garbage “trucks” were still horse-drawn carts. After my diabetic grandmother’s death in childbirth, my grandfather and his surviving six children were forced from one Harlem brownstone flat to another—by untenable vermin infestation, or by immigrant landlords who were selling their properties out from under my and other black families, treading the current of white flight out of Harlem because blacks were increasingly seeking affordable refuge and a semblance of community there. My grandfather’s municipal job enabled my family to stay a paycheck beyond poverty’s crushing grip. 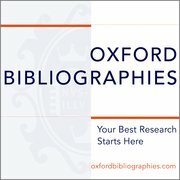 There was one point in time during which such a feat appeared even more Herculean: it was during the Great Depression, when middle and upper-class white Europeans experienced, by dint of an economic anomaly, the destitution that was but one facet of the perennial reality of black life. That my grandfather was a civil servant became the saving grace of not only his, but several neighboring black families for whose children he was able to provide a meal or two a couple of times a week. His steady paycheck (courtesy of the fact that, no matter how out of tilt the fallen stock market had rendered the nation, the trash had to be picked up) afforded him bread, milk, salad greens, and soup stock. These, along with the block of surplus processed cheese and canned meat that the government supplied to all (many swore it was horse meat), could feed a modest crowd. But my grandfather’s presence in civil service also nearly got him killed. His was a fair complexion, such that he was often mistaken for an “ethnic” white—from the Mediterranean, perhaps. He didn’t try to pass, so much as non-black people took him for what they assumed, or needed, him to be. Black folks knew, without need of much discussion, that our array of hues tells a deeply complicated tale. But some of his coworkers became suspicious—of a certain something in his walk, in his cadence—and followed him to Harlem on a couple of occasions, to discover a wife who was anything but fair, and children who split the difference. One day, several of those European immigrants and immigrant-descended coworkers beat my grandfather unmercifully, and left him in an alleyway to die. He did not; at least, not then. But I imagine his brush with death by coworker for the “crime” of being gainfully employed while black steeled him to two harsh realities: (1) blackness did not enjoy the privilege—the dream—of an immigrant work ethic that incorporates one into the American project; and (2) blacks may have worked just as hard as, if not harder than, anyone else, but their labor was part of a continuum constituted by slavery’s marking—the precarity of slave descent to which Christina Sharpe alludes. As Harlem continues along its gentrification trajectory in this new era, its faces increasingly whiter, middle-class and higher—mirroring the neo-bohemian influx that is currently proliferating in Detroit—the advent of #BlackLivesMatter continues to soar across urban centers around the nation, including Harlem. These protests against anti-black violence, most notably by the police state, pique an urgent question: what exactly is the dream that animates the gentrification projects of today? I would venture to say it is not Dr Martin Luther King, Jr’s dream, but rather, its antagonist. For his dream is precisely that upon which Langston Hughes’s poem, “Harlem” meditates. Hughes’ first line, “What happens to a dream deferred?” prompts us to examine what such deferral really means, and anticipates Sharpe’s formulation of rupture and its persistence in and to black life, regardless of our station. And so, the memory of that young man will stay with me always, for he remains there, in Harlem, ever vulnerable, yet taking notes, vigilant, critiquing, and rendering his fugitive commentary amidst the precarity of gentrification’s overwriting. Featured image credit: Night view of the Apollo Theater marquee in the late 1940s by William P. Gottlieb. Public Domain via Wikimedia Commons. Jaye Austin Williams is currently Assistant Professor of Theatre Arts at California State University, Long Beach. She will join the faculty of Africana Studies as C. Graydon and Mary E. Rogers Faculty Research Fellow specializing in Performance Studies at Bucknell University in fall 2017. She is the author of the article on Harlem’s "Apollo Theater" for Oxford Bibliographies in African-American Studies.